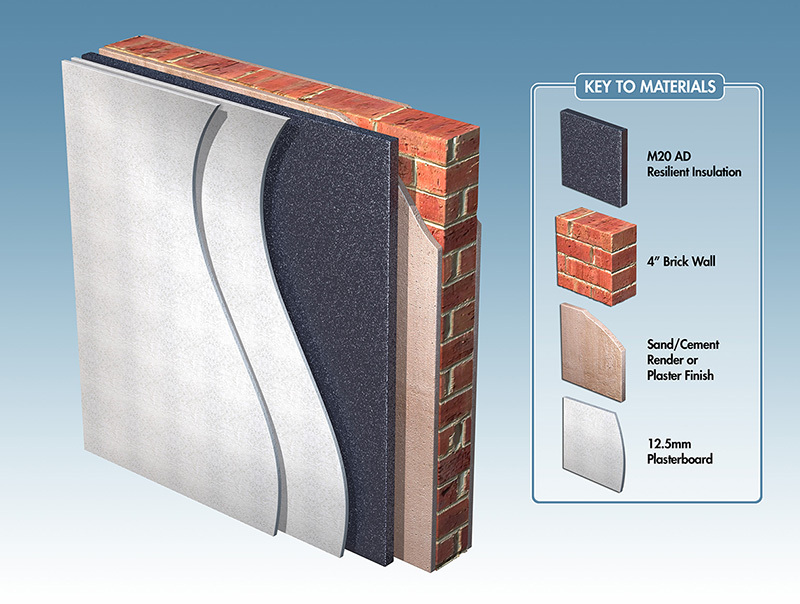 This 50mm thin soundproofing wall system uses a recycled rubber panel designed to upgrade the sound insulation properties of party walls in domestic properties. 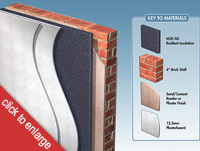 This system has been introduced when thicker, more efficient soundproofing systems cannot be used due to lack of space. The Thin Wall System is designed to absorb and reduce the amount of airborne noise which penetrates poorly insulated party walls. We have created this easy to order system for you but all the products can be purchased individually from other web pages on our site if preferred. 2 x layers of Acoustic Plasterboard (12.5mm thick, 2.4m long and 1.2m wide sheets) MIN ORDER OF 5 SHEETS DUE TO SHIPPING. The system is easy to fit with little D.I.Y experience and is simply glued to the existing wall with two layers of 15mm Acoustic Plasterboard bonded on top. Once ordered the products are all delivered with full step by step installation instructions. 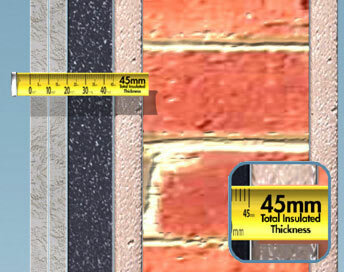 Work out the area of your wall then use our product selector below to calculate how much you need. Give us a call on 0845 363 7131 if you have any difficulty. PLEASE BE AWARE THESE PANELS WEIGH 15kg EACH SO YOU MAY REQUIRE HELP LIFTING.